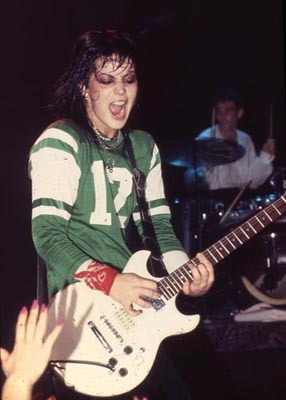 Joan Jett loves her football! From the late 1980’s to 2013, Scripps Howard polled celebrities and public figures for their predictions on which NFL team would win the Super Bowl. The celebrity who came closest to predicting the actual score won the Scripps Howard Super Sage Award. 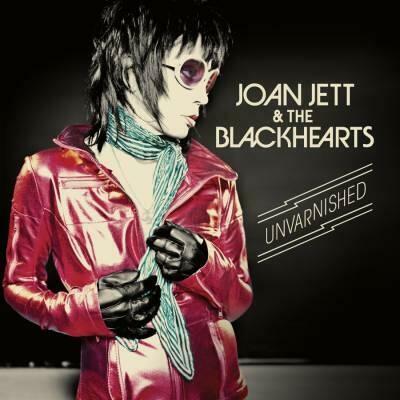 Joan Jett participated in this poll every year from Super Bowl 35 until the poll ended in 2013. She correctly predicted the winners in eight consecutive Super Bowls, with nine total correct predictions, although she never won the Super Sage Award. When the poll ended, Joan was the last holder of the longest unbroken winning streak, a title she took from Bill O’Reilly in Super Bowl #44. At eight consecutive wins, Joan is tied with Haley Joel Osment’s 2000-2007 winning streak. Joan’s winning streak started in 2006 with the Pittsburgh Steelers’ win in Super Bowl #40. Before her streak started, Joan had a 1-4 record, with only a 20% winning percentage. In 2013, her winning percentage was 75%. The closest Joan has ever come to winning the Super Sage Award was 2013, when she tied for second place with Vanilla Ice and Erin Burnett. Joan has picked the NFC 7 times and the AFC 6 times.